An ESTA for USA-bound travelers is a must. There are a few exceptions, which will be discussed later on. With that said, if you want to find out what an ESTA is, who needs one, how much it costs and how to apply, then continue to read on. ESTA stands for Electronic System for Travel Authorization. 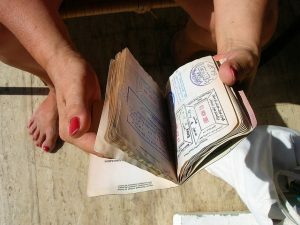 It is a way to determine that visitors are eligible to travel to America under what is known as the Visa Waiver Program. However, take note that being approved for an ESTA USA doesn’t automatically mean you will be allowed entry into America. If you’re from a country that’s part of the VWP and you’re flying to America, then you’ll need to have an ESTA. The same goes if you’re traveling to America by sea. American citizens/residents and those traveling by land do not an ESTA. The only way to apply for an ESTA is online. It takes most people less than 10 minutes to complete and submit it. You’ll receive a reference number, and it’s a good idea to print out this number or make note of it. You don’t have to show this to border patrol in America, but some airlines do want to see this information. Each ESTA application you lodge costs $14, so if you have a family of five, then you’ll pay $70. If an application is rejected, then you’ll have to pay $4 for an administration fee. Once again, the $4 fee pertains to each rejected application. Applying for an ESTA is easy. Travelers to the USA should apply for one week before they are due to go to America. Remember, you could very well be refused boarding or entry if you do not have a valid ESTA.